If you're based in the Los Angeles area and are having trouble with a workplace injury or getting workers' compensation, contact our experienced work injury attorney. 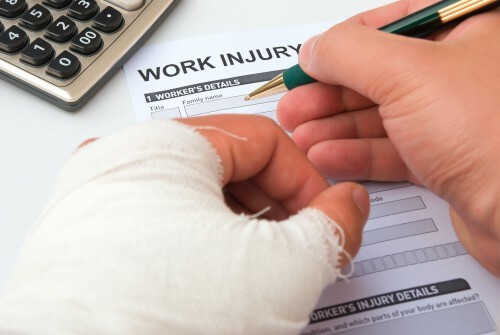 Home > Blog > Do You Know What the Most Common Workplace Injuries Are? On behalf of Koszdin, Fields, Sherry & Katz posted in Workplace injuries on Thursday, January 25, 2018. Workplace injuries happen al the time and, depending on the severity of your injury, can be absolutely devastating. If your family, mortgage payments, and other commitments are relying on your income, any time out of work can have disastrous consequences. An experienced Los Angeles workplace injuries attorney can help if you think you may have a workers’ compensation claim but, out of interest, do you know what the most common workplace injuries are? Being aware may help you avoid an accident. With over three million people in the US suffering a workplace injury every day, some of which may never fully recover, it may be surprising to learn that most of these incidents can be sorted into ten categories. Of course, some accidents are unavoidable but, if you think any of these situations may apply to you, it’s always better to be safe than sorry. Overextension injuries are the most common workplace injuries, as reported to workplace injuries attorneys in Los Angeles and beyond. These are caused by pushing, pulling, lifting and otherwise moving items incorrectly. In second place comes slipping and tripping injuries. Many of these can be avoided by following safety guidelines relating to spills and storage of equipment. Falling from heights is the third most common workplace injury. Accidental slips and trips may happen, but it’s wise to make sure you follow procedure when climbing ladders or working at height. Reaction injuries can be caused by jerking your body to avoid falling after a slip or trip. This category of workplace injury is commonly seen by attorneys and may include muscular issues. Falling objects pose a significant risk in the workplace. Items falling from shelves or being dropped by a coworker or other person commonly result in head injuries. Again, following safety guidelines, including wearing a helmet where appropriate, may reduce risk. If you’ve ever walked into a door, window, shelf, table, or other items at work, you’re not alone. Injuries caused by walking into something rank number 6 in the most common workplace injuries. Work vehicles are often involved in road accidents, some of which can cause serious injury or even fatalities. It’s the stuff of nightmares, and with good cause. Machine entanglement, involving clothes, hair, shoes, and fingers, happen often within the US. A desk-based job might seem reasonably safe, but injuries caused by repetitive motions are at the center of many claims dealt with by a workplace injuries attorney. Violent attacks in the workplace don’t happen quite as often as some of the other injury types, but still, represent a decent proportion of cases seen by workplace injury lawyers. If you’re based in the Los Angeles area and are having trouble with a workplace injury or getting workers’ compensation, contact our experienced workplace injuries attorneys to find out how we could help. If you’ve suffered an injury which you believe was caused by working conditions, contact us today on 800-747-3447 to discuss your case.